This is a new guest post by Karen Ernst, who is the parent-leader of Voices for Vaccines, a parent-led organization that supports and advocates for on-time vaccination and the reduction of vaccine-preventable disease. Karen is the mother of three boys and the wife of a military officer, living in Minnesota. Unvaccinated children do not deserve to get sick. Of any statement made by anyone discussing immunization, that one seems like it should be the least provocative. Yet, for the umpteenth time this week, I’ve read on an antivaccine blog that pro-vaccine advocates claim vaccine hesitant parents don’t love their children or should have their children removed from their home. Let’s take a moment for a reality check. 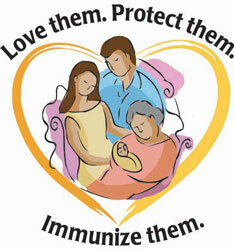 Most parents do vaccinate their children. In fact, less than 1% of all school children in the USA are completely unvaccinated. While within this overwhelming majority there are bound to be a few jerks who will make callous statements about children and their parents, most of us want to protect all the children around us. We talk quite a bit about protecting immunocompromised children from vaccine preventable disease. We want to make sure Benjamin, who had a heart transplant and is unable to receive any live vaccines, is kept far away from measles and chickenpox. We want to make sure that Sonia’s children, who were born with Primary immunodeficiency, live in a community as free from disease as possible. Community immunity is precious to us, not just because it provides an added layer of protection for our vaccinated children, but also because it provides protection for our neighbors’ children. But it also protects that fully unvaccinated child, who has no choice in the matter. That unvaccinated child did not ask to be left vulnerable to disease, and that unvaccinated child does not deserve to get sick. So we are doing what we can, and our first act of advocacy is to vaccinate our own children. If you are a vaccine hesitant (or fully anti-vaccine) parent, know that we are doing what we know is in the best interest of our children, the community, and your children. We do not want your beliefs about health and vaccines challenged by a bout with preventable illness. We do not want your children to suffer. 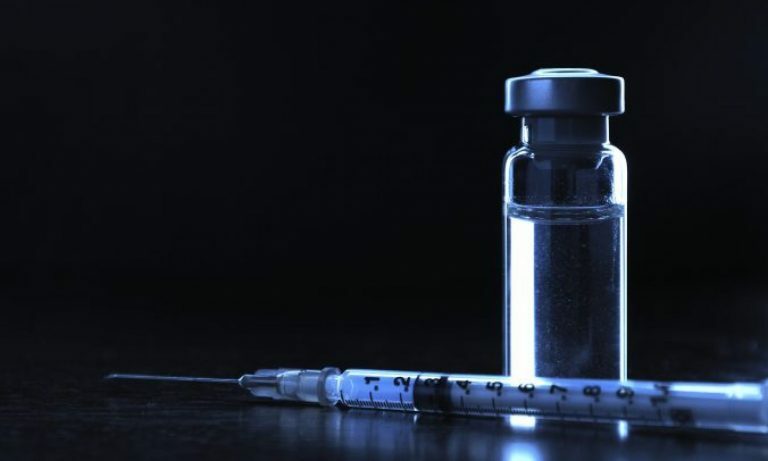 We do want you to understand that vaccines are not about beliefs–they are about science, and the science is so overwhelmingly on the side of immunization, that it’s quite impossible to list here all the evidence showing that vaccines are safe and save lives. But since the science hasn’t convinced you, we are doing what we can to shield your children. Too often, the efforts of the pro-vaccine parent are undermined by the success of immunization. How often do we hear an anti-vaccine activist claim that the polio vaccine is unnecessary because polio is gone (it’s not) or that measles is rare (because of vaccines), though it may be returning? How often do we witness the collective whitewashing of history when it comes to the ravages of diseases many of us want to keep in the past? When antivaccine activists claims that we are pharma shills or that vaccines cause all manner of impossible side effects or that illness is actually good, we might feel like Daenerys Targaryen and wish to rain down all manner of doom upon them. No doubt, the magical thinking and chutzpah of those most ardent refusers drives us to the edge of reason and manners. But when we think of their children, children who grow up to be people like Amy Parker, it’s only natural that our compulsion to protect kicks in. At the end of the day, vaccine hesitant parents are doing their best with the information they have. They are acting out of love and their own desire to give their children the best. When my own parents put me to sleep on my belly as an infant or gave me aspirin as a child, they were doing the same thing. My parents didn’t have access to the information about the value of back sleeping or the dangers of giving aspirin to children because that information didn’t exist. The information showing the value of vaccines does exist. Vaccine hesitant parents aren’t acting on this information because the cacophony of very loud, very mobilized antivaccine advocates drowns out the good information. And maybe they are being convinced by this anti-vaccine brigade that pro-vaccine advocates are evil, ill-wishing beasts who want to depopulate the planet. But that’s not who we are. We want to challenge their beliefs with our facts, not with their misfortune. 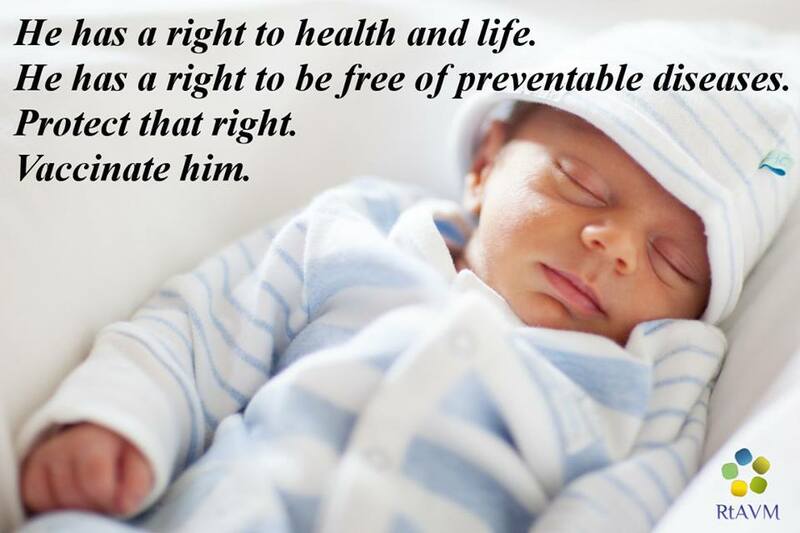 We want their children to be protected by the herd and to grow up to be healthy people who just might recognize that they were lucky to live at a time when science and society gave them the best odds possible. We wish all children good health and long lives.